Bertram Yacht remains at the forefront of nautical design, quality performance and innovation as it unveils the latest breakthrough revelation in yacht design; the Bertram 540, a new model yacht that will be sure to make a stir in the sport fishing industry. 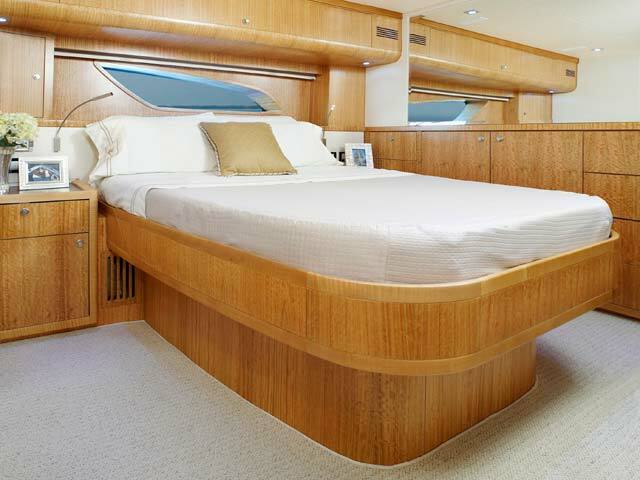 The impact of the classic Bertram 54′ was distinctive in the marine industry became one of the most sought after Bertram models over the years. 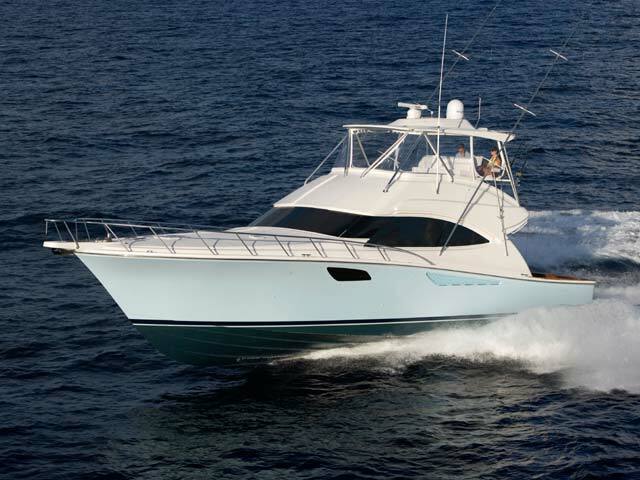 The new 540 is the quintessential sport-fishing machine, maintains the features of the classic 54′, and introduces new innovative elements to a sport fish craft. 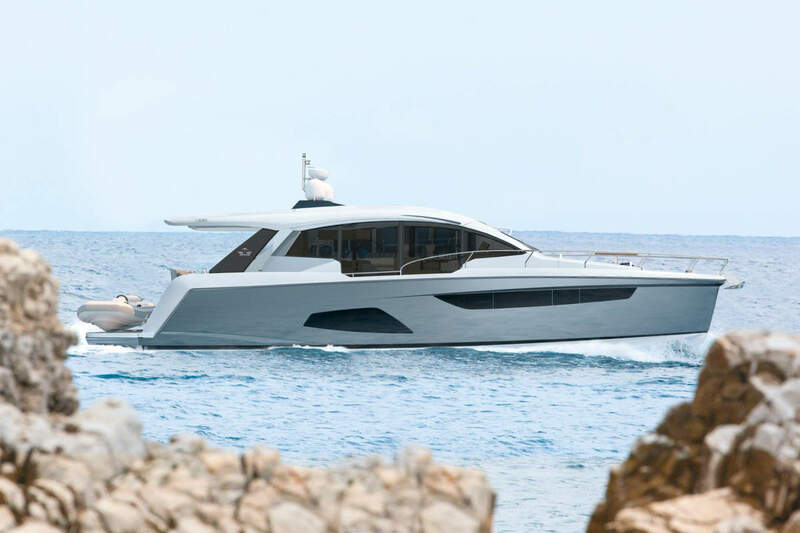 The result was a yacht that delivers ultimate steadfast performance and sea keeping ability of a fishing vessel combined with the ultra luxury and comfort of a cruising yacht. 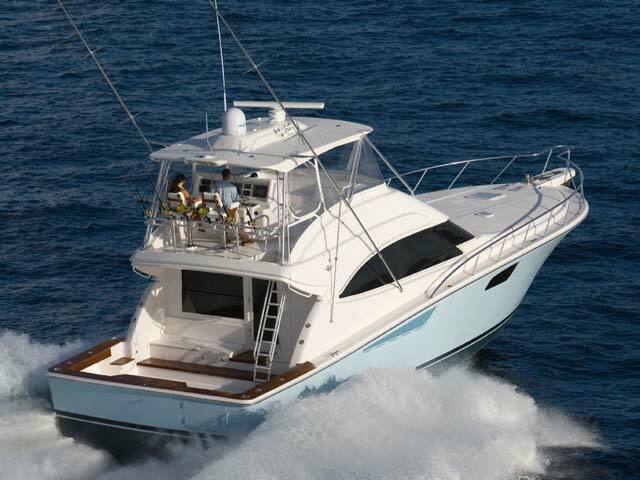 Aside from its incredible seaworthiness, this new model offers new attributes to enhance the cruising experience. Undoubtedly, the most striking new feature is the forward wrap around window that provides breathtaking views of the surrounding waters and allows for an incredible amount of natural light to shine through the interior of the yacht. 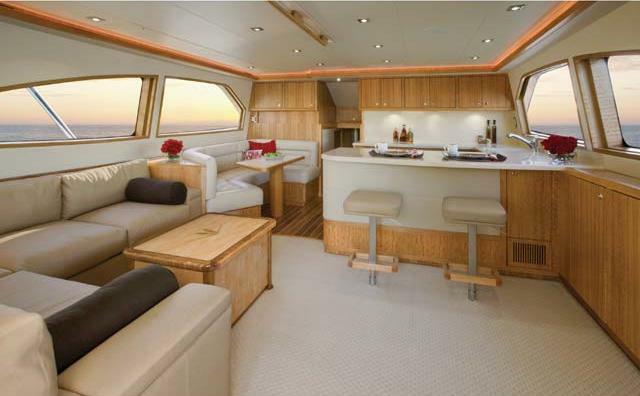 The ambiance created from these windows and the open salon layout provides a unique experience for entertaining on the open water. Port and starboard stateroom windows also lend to added natural light and exquisite views of the sea. These state of the art windows are made of multiple layers of glass and are both tested and designed exclusively by Ferretti group‘s Advanced Yacht Technologies. 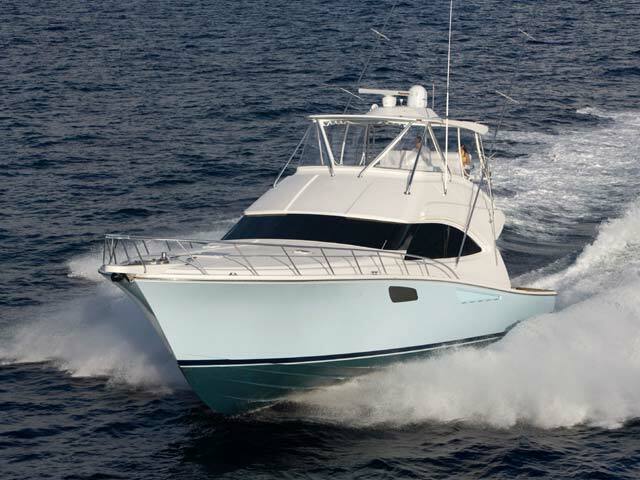 They are engineered to hold up to the roughest sport-fishing conditions and are actually reinforced with directly into the fiberglass hull, contributing to the overall hull strength and design. The open view layout of the new 540 is radiant with white oak, which provides an elegant richness and enhances the natural light that enters the salon. 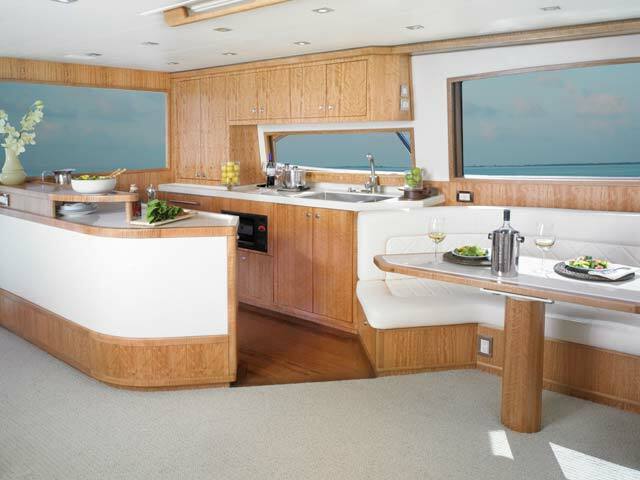 The galley area features a beautiful open bar area to facilitate movement between the salon and the cockpit entry way for a more open entertaining and dining experience. An innovative retractable aft cockpit window, which recedes down into the bulkhead for easy pass through of drinks and food was also added between the cockpit and the galley. 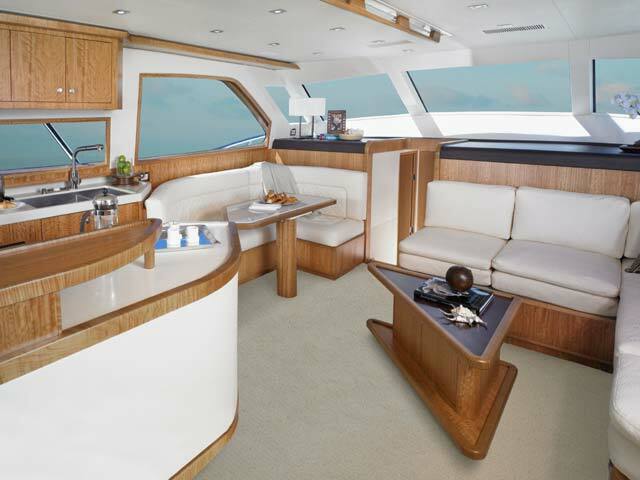 Many other elements were incorporated into the design of the new 540 to enhance the overall ease of use and to provide the ultimate entertainment experience for all of those aboard. 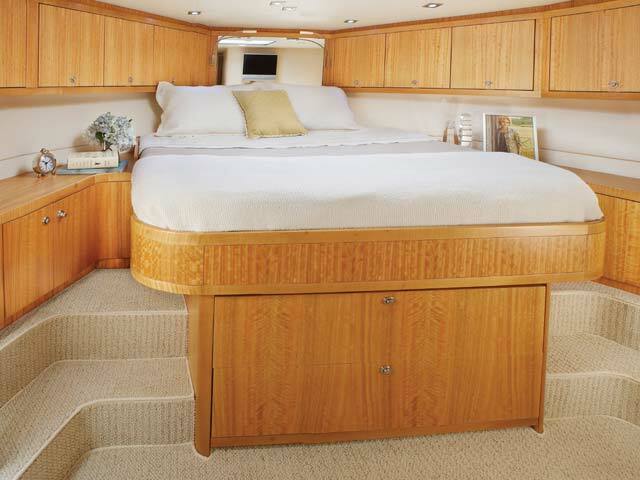 Stereo sound systems were integrated into the bridge, salon and cockpit featuring iPOD connection for quality sound and easy control from any location on the boat. Additional amenities such as LED lighting, 12 and 110 volt outlets and extra cup holders were added for a more comfortable, modern day experience. Also, appliances and components were selected for their ease of serviceability for both U.S. and European markets. 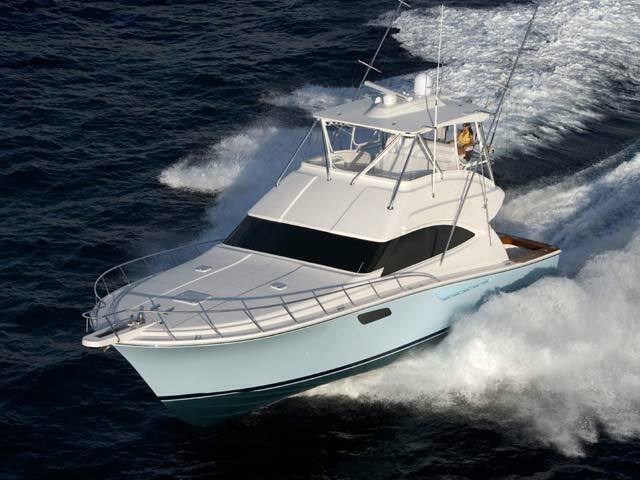 Outfitted as an extreme fishing machine, the 540 is also streamlined with features that adhere to the needs of the true fisherman. 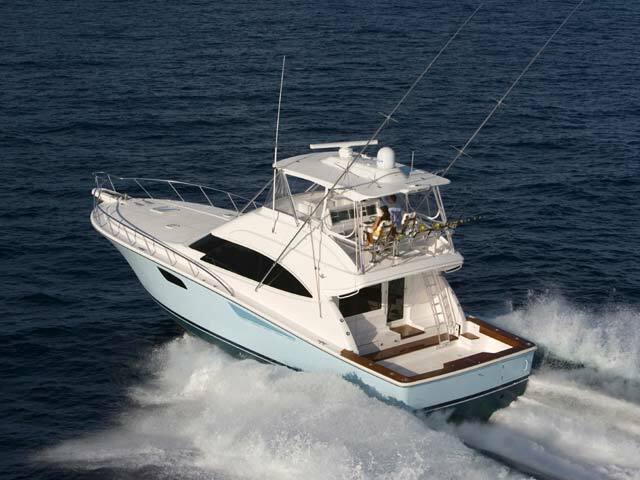 This yacht features underwater exhaust and maximized storage space to hold up to 25 fishing rods. Additional tackle storage is incorporated into the mezzanine along with a baitwell and freezer. The transom fish box can also be converted into another baitwell or icemaker with ease. 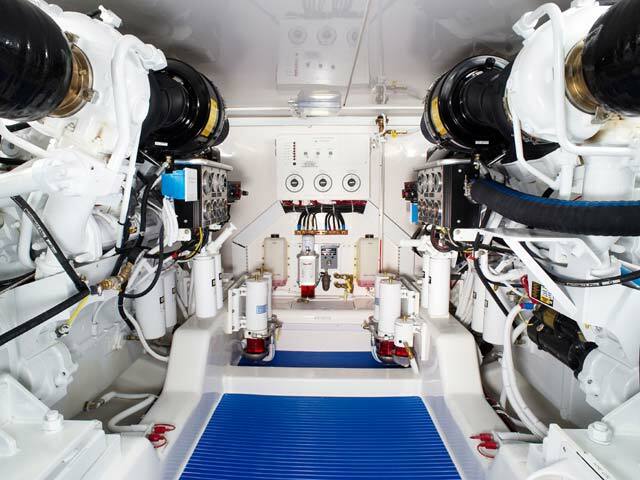 The fish boxes on the cockpit floor have been made larger and deeper and are now placed on each side of the fighting chair for easier access from the transom door. With its universal appeal, this new model is proof of Bertram’s steady commitment to excellence. It pushes the standards in yacht building, while staying committed to the core principles and classic design of Bertram Yachts.